"When Thomas wakes up in the lift, the only thing he can remember is his first name. His memory is blank. But he’s not alone. When the lift’s doors open, Thomas finds himself surrounded by kids who welcome him to the Glade—a large, open expanse surrounded by stone walls. Thomas might be more important than he could ever guess. If only he could unlock the dark secrets buried within his mind." I have seriously mixed feelings about this book. I didn't hate it, but didn't love it either. Was this book entertaining? Yes, James Dashner really knows how to create a suspenseful plot. The entire idea of having a group of people stuck in a Maze while knowing nothing about who they are or where they are is pretty crazy. The book also kept a pretty great pace overall and never had a dull moment, so why didn't I enjoy it more? First off, let's start off with characterization. For the exception of one or two characters, I was never able to develop a relationship to any of the characters. I understand that all the characters had their memories swiped, but a lot of the characters always seemed exactly the same. Most of the boys were only distinguishable through certain characteristics like long hair or big biceps. Thomas, our main character, was the only one who seemed to have a developed personality. The developed language was also really distracting at first. I understand a civilization will develop their own way of communicating, but their terms were pretty annoying to me. I was able to get past it after a while, but it never actually flowed for me. Secondly, though I understood the maze was a pretty dangerous place because of the Grievers, I was never able to picture what an actual Griever looked like. All I got was a slug type of creatures with arms made of metal that also have retracting needles in their body. Oh and they also roll and climb somehow. Yeah alright, that's a little creepy but it's nothing that'll keep me up at night. I can see why this book has received so much hype, but I think it could definitely use a bit more work. By the end I felt like I spent 300+ pages waiting for some type of answer but instead was just given a lot more questions. However, I will totally be picking up the following book because I'm completely intrigued by the story and seriously need a sense of closure. If that was Dashner's plan, kudos sir, kudos. 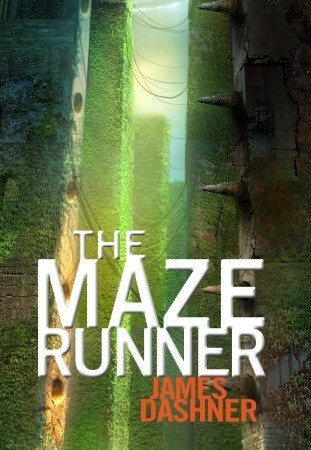 I just read The Maze Runner as well. I wasn't a fan. All of the things you said, I totally agree with. The language was probably the most annoying thing for me. If you want the kids to swear, just have them swear already! Of course I'll be reading the second one though. That letter on the last page really got me. Thanks for sharing your thoughts. I was beginning to feel like I was all alone on this book. I totally agree! I understand they wanted to keep it "age appropriate", but making a whole new language is annoying. I'd rather they just swear or keep it to a similar word that rhymed or something, haha. I feel like the second book is that book I don't really want to read, but need to read. I seriously felt like I was the only one too! So no, thank YOU for letting me know I'm not alone.